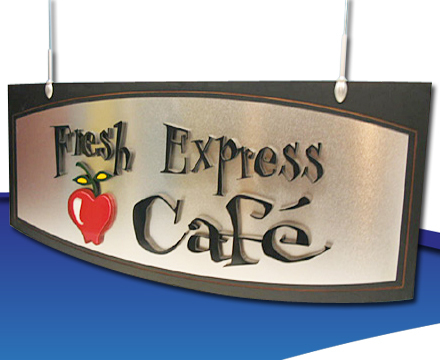 Vending Area Treatments - Custom Designed and Fabricated. Take charge of your image. Custom designed environments increase sales. Area Treatment - Any graphical element requiring additional substrate (top caps, side-view trim caps, etc.) 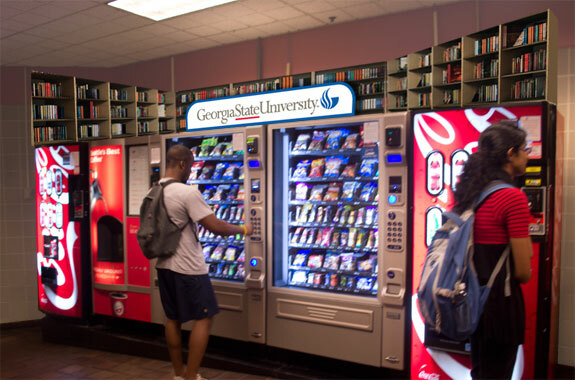 that mechanically mounts to multiple vending machines if not including the surrounding area facade. Common purposes include company and/or customer branding, or promoting food-service programs. 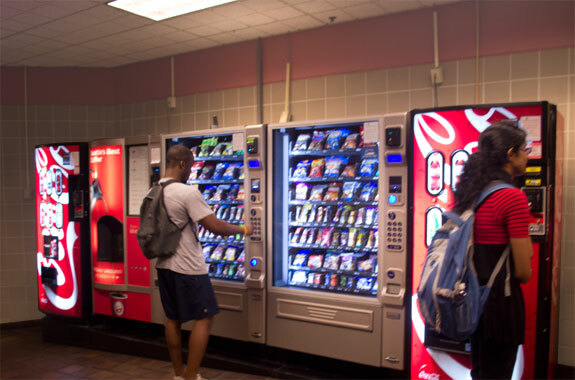 This example illustrates a vending machine bank in a poor lighting environment. Our solution is to mount a 3-D digital print on a backboard, with a centered LED back-lit arcade. 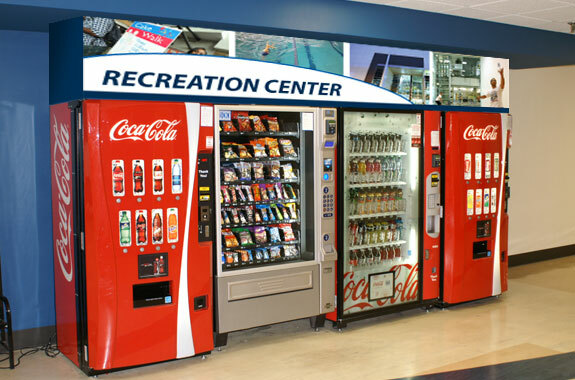 This example illustrates a vending machine bank for a recreation center. Your Image is everything. Why not consider looking your best? 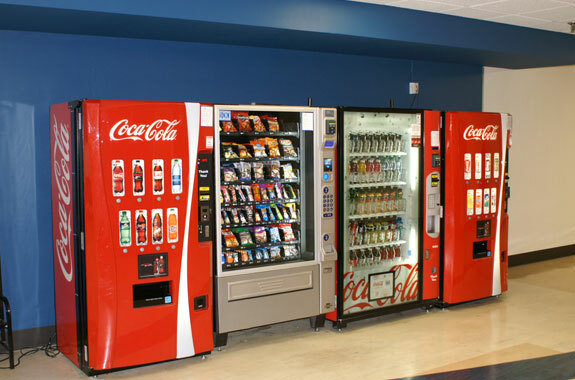 We serve the Vending and Food Service Industries nationally. While we treat each project individually, we have back-end systems implemented that group similar orders together in production, and spread the discounts as if buying in bulk. By joining the Multiple Media Network, you will not only have access to top-notch designers in all areas of media (print, web, marketing), but you also be able to take advantage of our collective buying power on raw consumables (production materials). This ensures the quality, high-impact designs, made to order, using the most durable materials - and at an affordable rate.